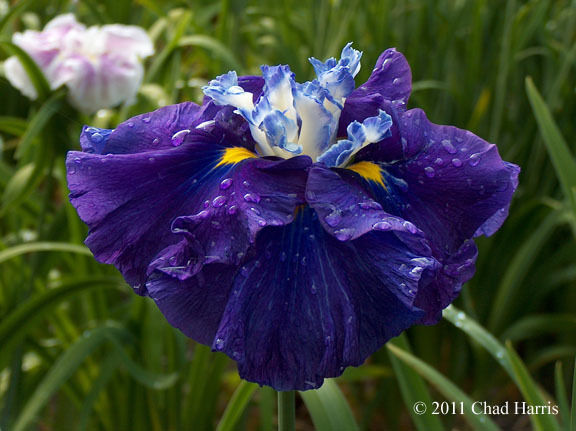 Tall, ruffled and richly colored dark purple with deep blue undertones. The multiple upright white styles with blue crests seemingly bubble out of the center. Striking!